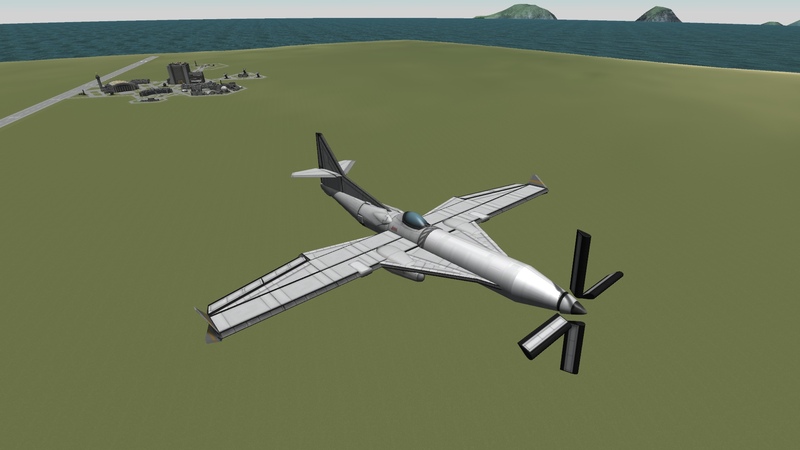 Advanced Avionics presents its first stock propeller aircraft: the AA-P4 Thunderbringer! 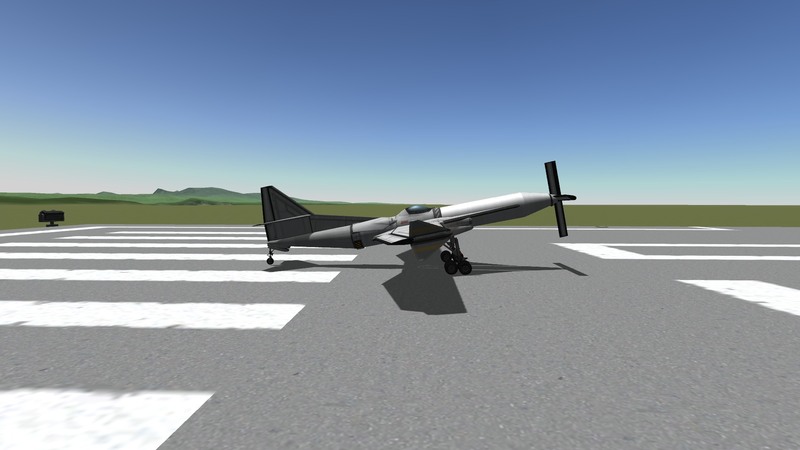 Powering it is the mighty P-4 100% stock propeller engine featuring 15 small reaction wheels for some extra thrust. 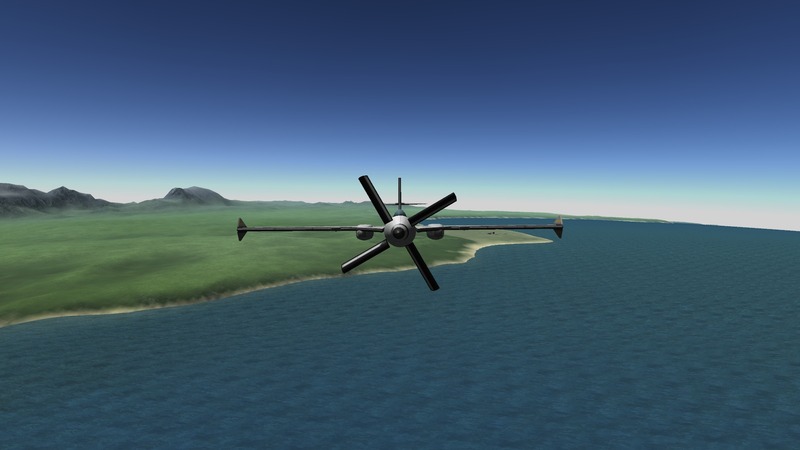 This engine is the 4th gen (hence the name) prop developed by the AA’s engine branch (me), tested by the testing branch (me) and implemented into the aircraft by the aerodynamics branch (also me). This is the second relatively successful prop developed by AA. The first one didn’t leave the factories because of its habit of suddenly exploding. It is still a new engine, so it does have some issues. 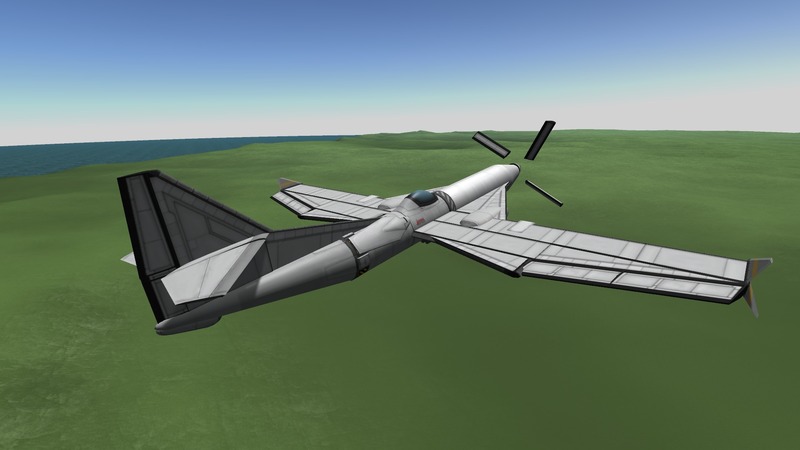 If during the flight it starts wobbling too much, just cut the thrust (Alt+X) and restart it again. This fixes 90% of the issues. Also be careful with high angles of attack on full power and high speeds. The plane itself was carefully built at AAs best factories with high-quality materials. 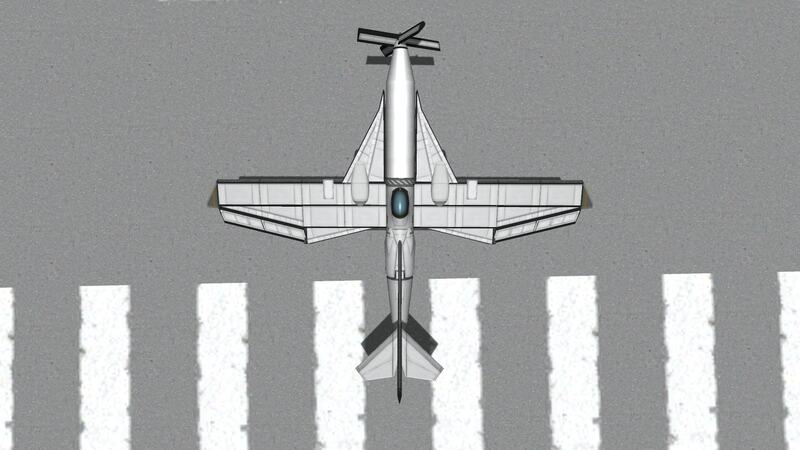 It features an interesting wing design that helps to get around the problem of the aircraft being front-heavy because of the engine. 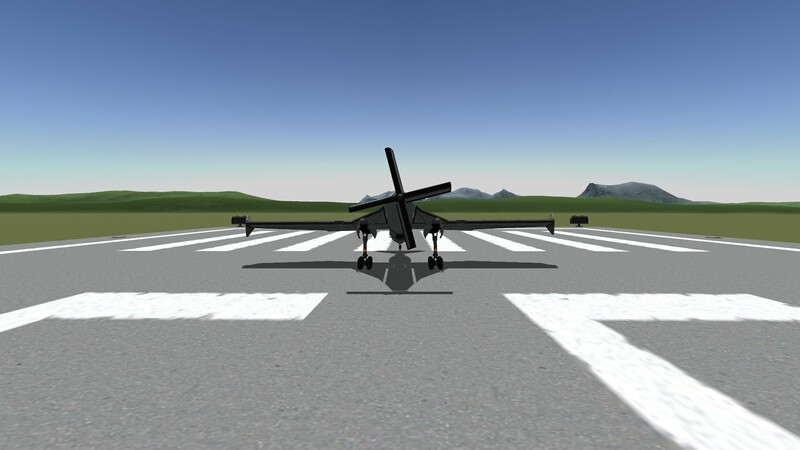 The landing gear is placed in a way to minimize accident probability, although safe landings require some experience. The Thunderbringer is very agile, quite easy to control, can reach speeds up to 100 m/s and fly indefinitely. In other words, it’s a great platform for recon, science collection, expeditions and just flying around. Just put any equipment you need and you’re good to go! Alt+X to cut the engine. Safe thrust levels ~ 75%. 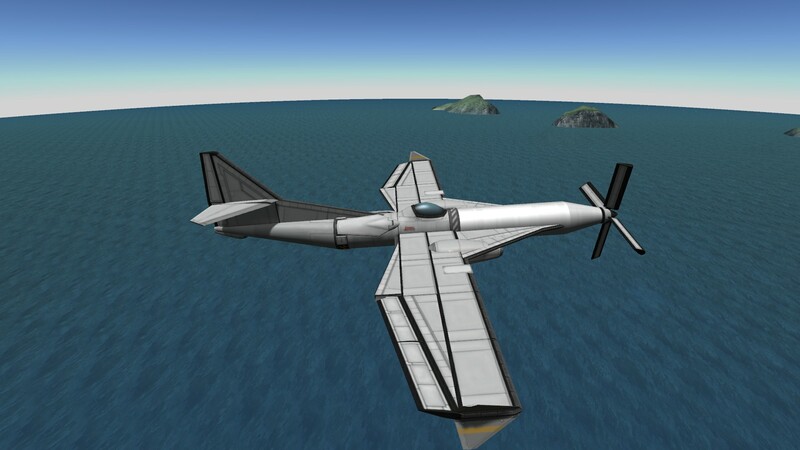 AA has more ideas that involve prop aircraft, so expect more soon!